Here I come with my latest mixed media on Water color Paper. I started this project from scratch with plain paper and having blur idea of water color and mixed media combination on a water color paper. I used Finnabair Art Alchemy Metallique Acrylic Paint as water color by adding water in shade of Vintage Rose to make Parachute. As I am highly obsessed with prima products, I used Prima and Finnabair products for this project. I found this Beautiful Photograph of lovely couple from HUMAN'S OF NEWYORK by Brandon Stanton. Memories can never be replaced by anything. I am still fan those traditional way of keeping photograph in frames and make wall full of those photos. I still like to make photo-album. Today's digital culture challenges those traditional way by saving those memory in tiny memory card. No matter what kind of memories you have, it gives happiness. Let's talk about these projects I used a couple photo and two wooden frames to complete this project. Wooden frames because I love to frame memories and a couple photo dedicated us, a cute and loving couple. 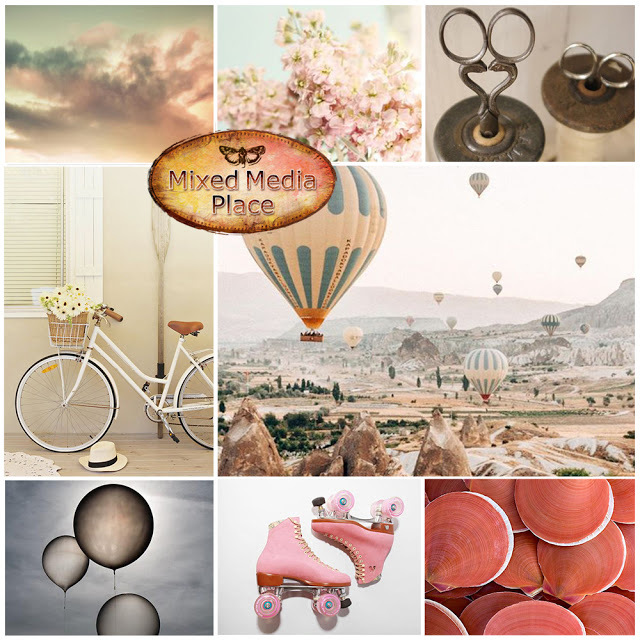 I just love the pastel pink color of mood board so I inspire a lot with the colors. also, I inspire with the Parachutes and Balloons. This is gorgeous! I adore your background and the fabulous balloon! I'm so glad you could join us at More Than Words. So beautiful! I love the background with the ballon! Thank you so much for joining us at More Than Words! OMG this is sooo amazing, love it! Totally gorgeous, I share with you the passion of starting from scratch on watercolor paper. 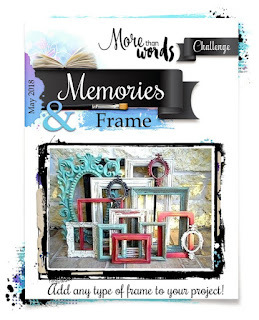 Love how you layered the details, just perfect for our More Than WOrds challenge. Good luck ! Love your page! The use of frames, the background. Everything on the right place. Gorgeous! Thank you for joining us at MTW. I'm crazy about your layout! It's an amazing work! Thank you for joining us at Mixed Media Place!